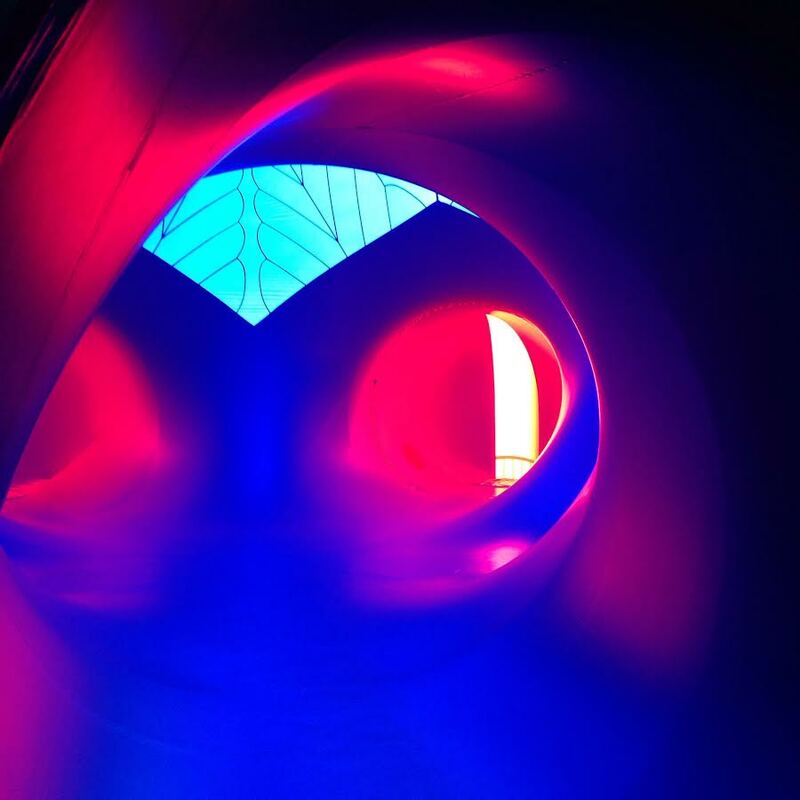 Over the weekend, I was able to visit Luminarium: Arboria not just once, but twice! The first time I went, I joined members of the press for a small, private showing. It was great to be able and experience the exhibit without all the crowds. I even laid down - ha! A few days later, I went down to see it again with family. What is it exactly? 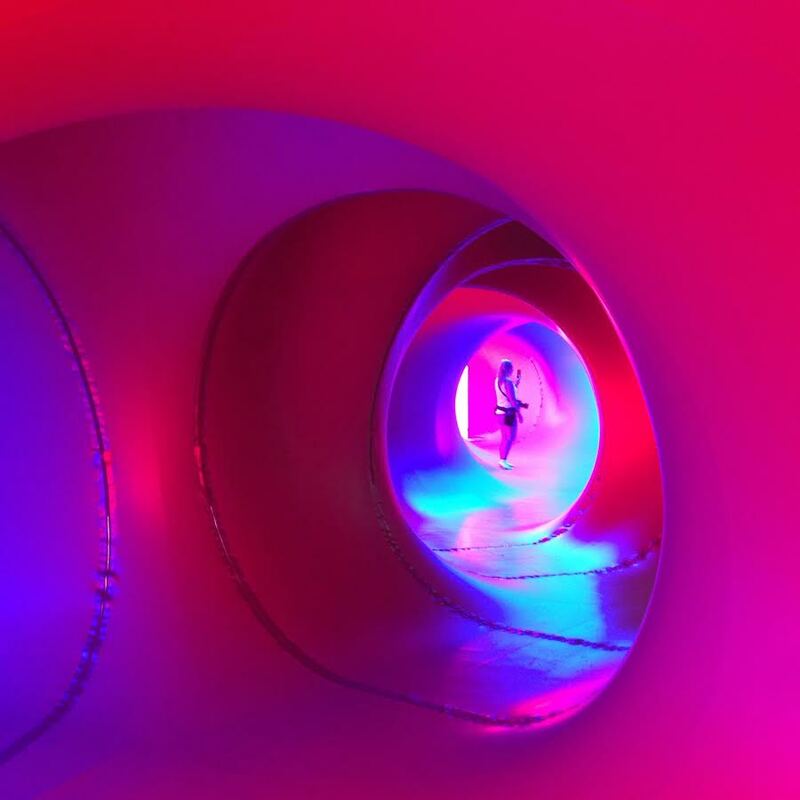 Well, it's an inflatable structure made up of both different colors and different sounds. It's half the size of a football and once you're inside, it feels like you're wandering around an alien spacecraft or something. It's very meditative. You're given twenty minutes to explore and they also limit the number of people who are allowed inside, so it was never too crowded. Judging by the line to get tickets, there's definitely an appetite for more things like this in Des Moines, so I hope the Powers That Be take note. Some pictures below. The whole structure is made of a balloon-like material and once you're inside, you're free to wander around all of the different corridors. Each corridor leads into a "room" and each room is a different color. It very meditative, but also very....cosmic? The whole thing was cool. It's not a huge structure, but it was big enough that I lost track of where the exit was a couple of times. The age range of those attending was pretty wide, which was cool to see. At one point, I looked around and I was surrounded by toddlers, teens, fortysomethings, and an adorable elderly couple - in search of one of the air conditioned rooms. It's always a good sign when something attracts young and old, right? As we were leaving, I noticed the ticket line had gotten even longer and it made me realize that people here are really craving artistic experiences, especially ones that are enjoyable for the whole family. Des Moines would do well to focus on offering more cultural opportunities to families. They do a good job already, but the more the merrier! Hope you were able to go attend!